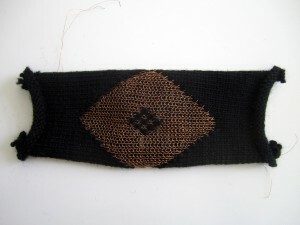 Techniques: The capacitor consists of two enameled copper wires knitted in parallel to form the pattern. 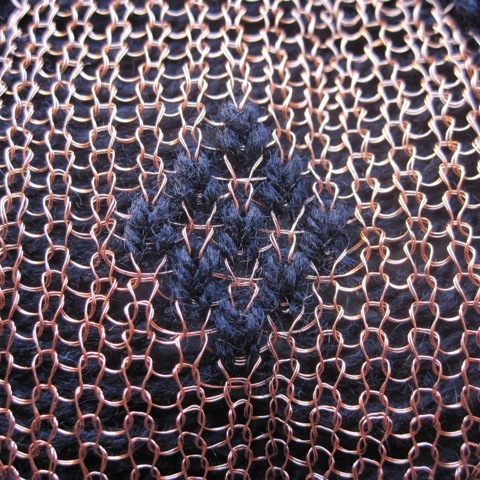 Being closely interknit with each other, the capacitance is created between the two strands of copper wire. The dielectric is the thin insulating enamel surface that covers the copper wire. Depending on the knitting pattern and its size different capacitor values can be reached. The capacitor can be connected at the ends of both copper wires. 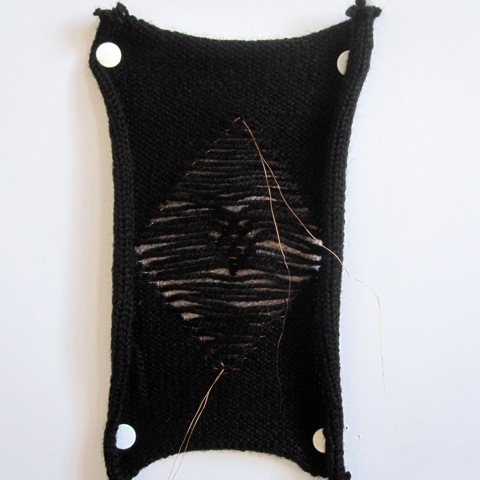 Knitted Capacitor was developed as part of a larger project entitled Punch Couture during our residency at the V2_Lab in 2012. 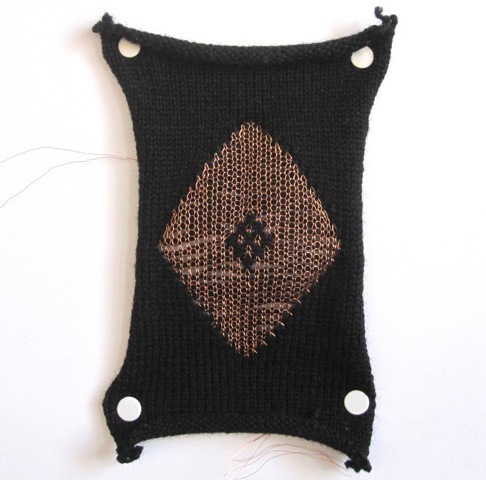 In this project, we looked into using home-use punch-card operated knitting machines in combination with emerging digital fabrication routines. We explored how, apart from holding information about visual patterns, punch cards can hold information about electronic functionalities. We eventually produced basic electronic parts like resistors, antennas, inductors, and capacitors. This patch is a capacitor with a value of around 300 pF.